“Dear children, let us not love with words or speech but with actions and in truth” (I John 3:18). 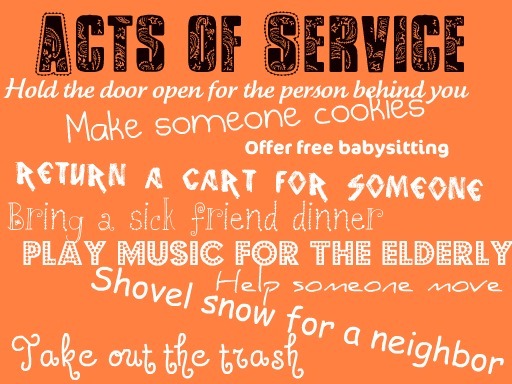 Did you ever notice that it’s sometimes easier to provide special acts of service to people outside of your family? If you have kids living in your home, your life probably feels like one big Act of Service. Cooking their meals, finding their library books, filling their drawers with clean clothes, washing their bodies, wiping their noses, giving them your hard-earned money… You are serving your family every day. Going out of your way to do one MORE thing for this bunch sounds like madness. Plus, we parents are supposed to teach our children independence. They have to learn that there are consequences for their actions. “If you leave your clothes and toys all over the floor, Son, your room will be messy.” Today, my daughter and I cleaned my son’s room for him. Why? What was I telling him by doing that? Anything you can do to ease the burden of responsibilities weighing on an Acts of Service person will speak volumes. The words he or she most want to hear: “Let me do that for you.” Laziness, broken commitments, and making more work for them tell speakers of this language their feelings don’t matter. Finding ways to serve speaks volumes to the recipient of these acts. When they know with certainty that they are loved, people are more easily able to show love in return. The stick-to-your-guns approach to parenting makes much more sense to kids when it is exercised in a secure, loving environment. To be sure, my kids are held accountable for the messes they make. 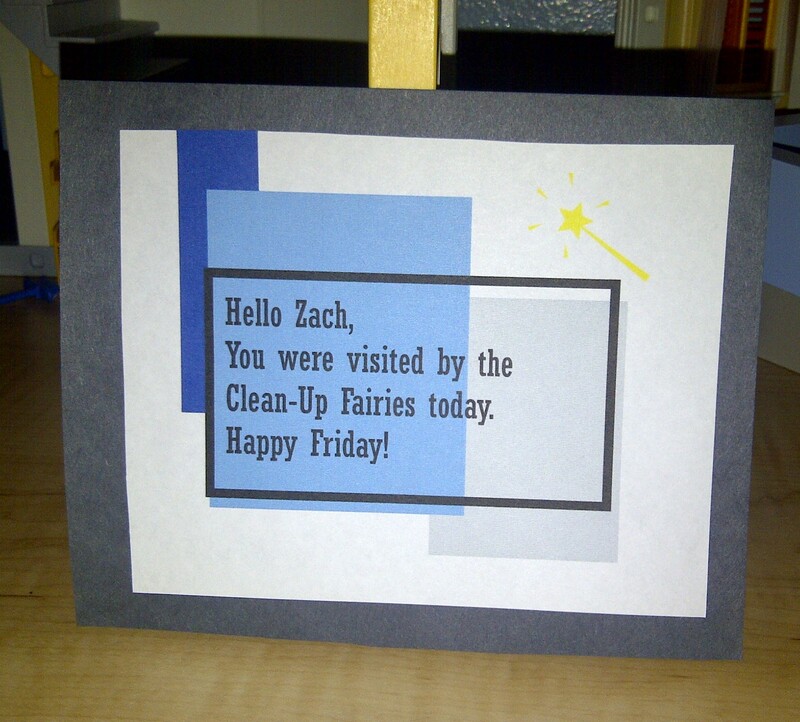 The Boy has cleaned his own room plenty of times, and he will do so again. My husband and I do not bail our children out of every situation. We do not succumb to their whining or guilt trips. We set firm boundaries. 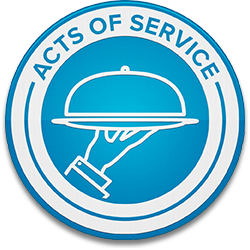 But an Act of Service – just because I love you, not because I’m obligated to – sends a loud message that words cannot convey.